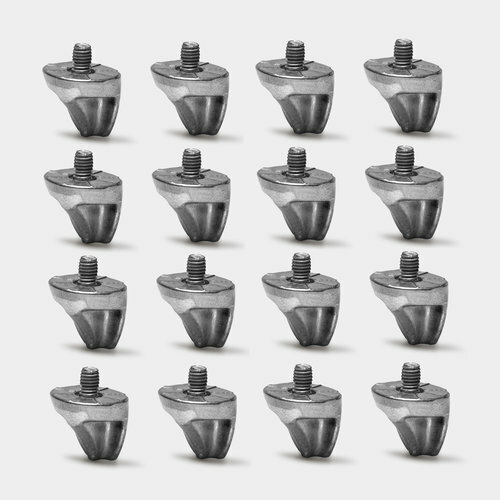 An all new and innovative stud design for your boots allowing for greater efficency, comfort and the chance to configurate the stud position for different positions and needs. 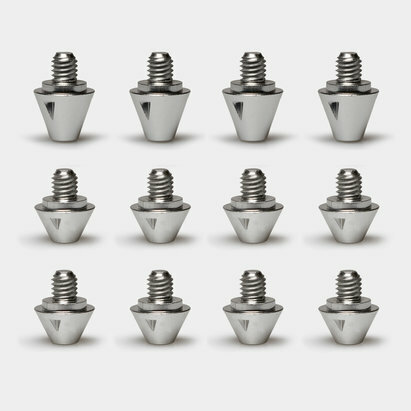 Why not try the Smartpower Profiler Aluminium Stud Set for yourself. This pack of Smart Power studs as worn by England prop Joe Marler and All Black's Ben Franks, are adapted much the same as usual studs for soft ground surfaces, but the main difference being the shape - which utilises far fewer surface area to pierce through the turf providing a solid platform for your sport. Depending on position and style of play these studs can be shaped into different configurations, it may take a few training sessions to figure out what works best, but when the right balance is found, results will show. Although legal, it's best to check with the referee of your league to confirm their opinion.